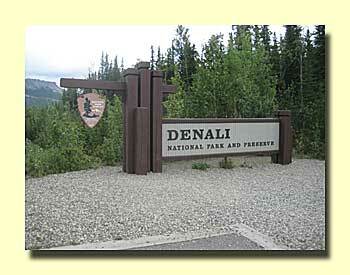 We visited Denali and spent some days hiking. 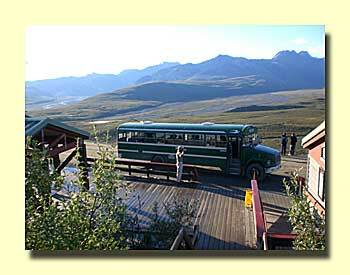 We also road the bus in as far as Eielson Visitor Center. 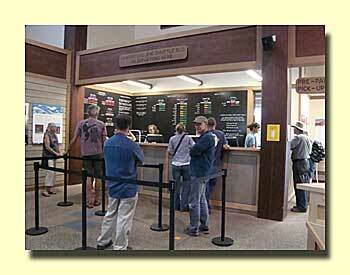 One of the new buildings in the entrance area of the park. Lots of changes here in the last few years. We had no trouble getting a reservation for the next day. We spotted this guy one day from our car, moose are common in the road section that you can drive yourself, before the gate at Savage River. 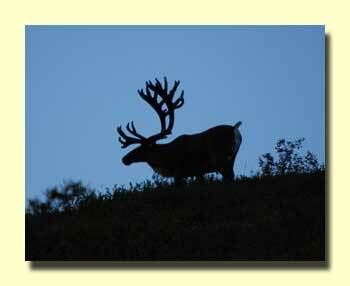 These caribou were also in the section before Savage River. 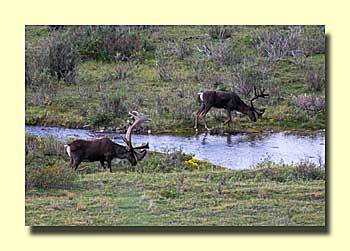 In fact, they were browsing along the edge of the river. One of many we saw along a very nice trail that follows the Savage River north from the bridge. Again, no need to use the bus to get here. 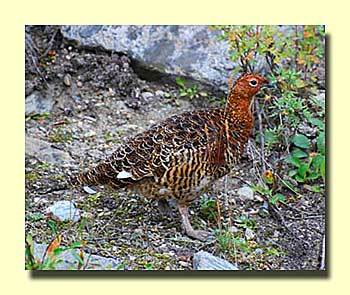 We've spotted ptarmigan every time we've walked this trail. 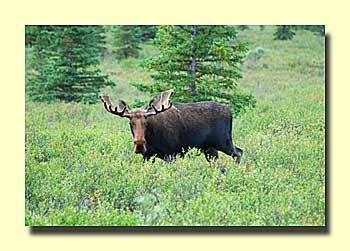 Most wildlife watching is done in the section of the road where you must ride the bus. 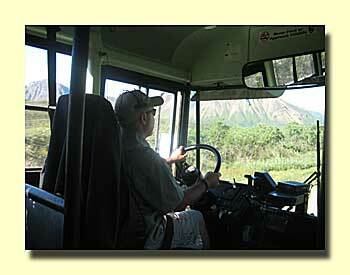 The drivers do have headphones and speakers so they help spot wildlife, so do all those other eyes on the bus. Taken from the bus, an early morning shot just before Savage River. They're nothing more than school busses. Not too fancy, but adequate. This rest stop, however, is spectacular. 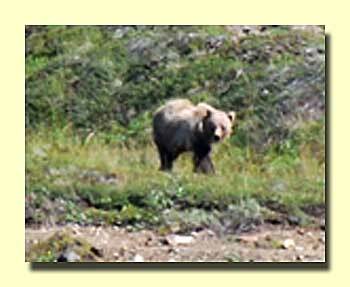 We spotted several grizzleys on the river below. Picture below. 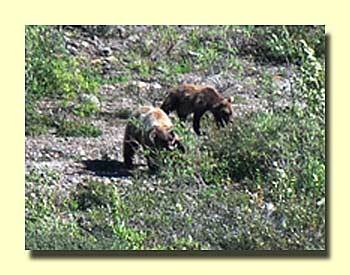 There was a sow and two cubs. The sow is the bear on the left. 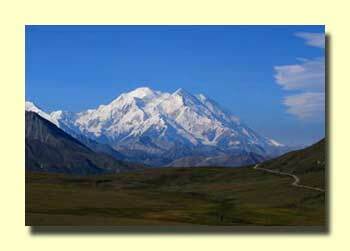 You have to ride the bus to get a picture like this. You also need a great day! 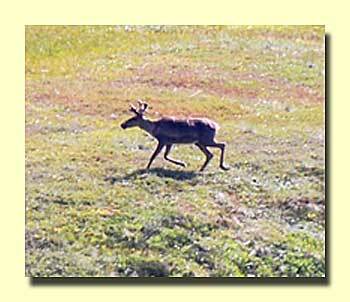 Picture taken at Eielson Visitor Center from the patio. He was close enought that the rangers closed the trails and made sure people stayed well away. 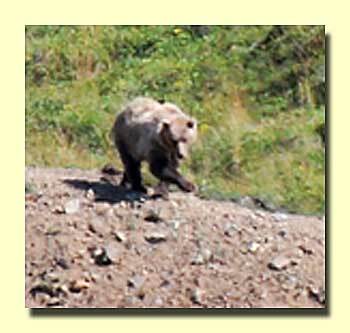 Another shot of the same bear. 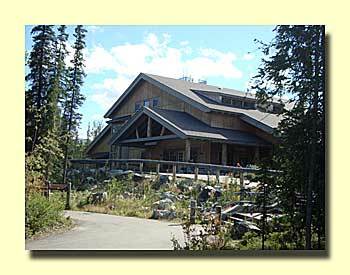 Another shot from the Eielson Visitor Center patio. He's heading in the other direction after spotting the bear.